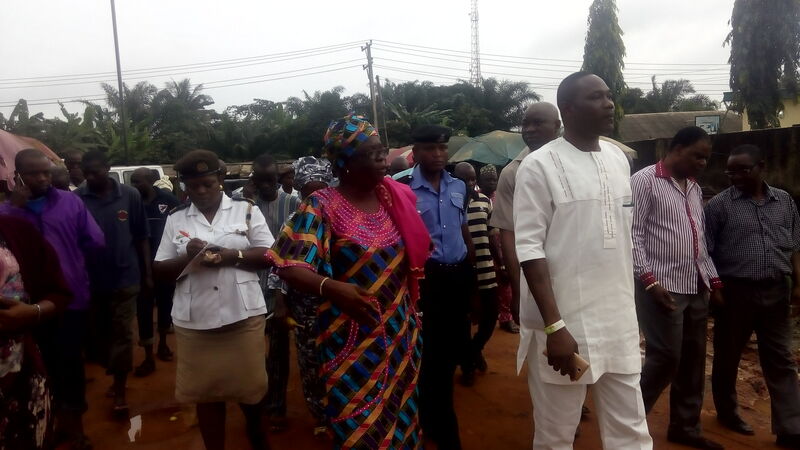 Shortly after the legislators of Ojokoro Local Council Development Area led by the leader of the house, Hon. Abdulaziz Osho screened and certified the Secretary to the Local Government, four supervisors and two special advisers to the council, Ojokoro sworn in her executive members. 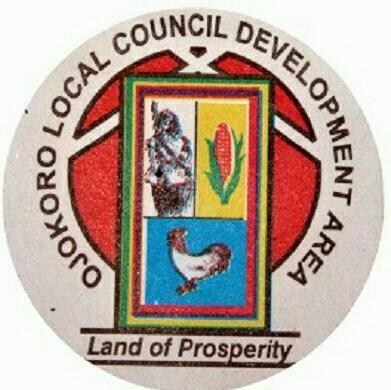 On Monday 6th November, 2017, the Executive Chairman of Ojokoro LCDA, Hon. 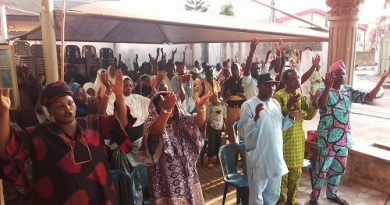 Hammed Idowu D. Tijani sworn-in certified members of the executive arm of the LCDA at the council secretariat complex in Ijaiye. The event was witnessed by several dignitaries and party stewards of the LCDA and among them is the Lagos State House of Assembly Member Ifako-Ijaiye II, Hon. Rasheed Makinde, APC Party Chairman in Ojokoro, Prince Adewale Bello, Baba Ile Ogbo, Alhaja F. A Balogun to mention but a few, community leader, youths, members of various groups in the LCDA were all present at the ceremony. Hon. Hammed Idowu D. Tijani, the Executive Chairman of Ojokoro LCDA speaking at the event. Hon. 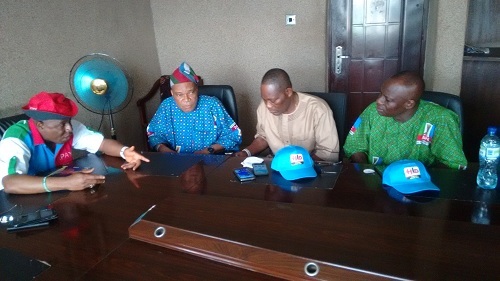 Tijani has urged the secretary to the local government, the four supervisors and the two special advisers to be focused, determined and ensure they all work in line with the purpose of their appointment which is strictly service to the people and also to complement the laudable projects of the ever dynamic Governor His Excellency Mr Akinwunmi Ambode. “I am using this forum to implore you to team up with this administration in forming a formidable team for good service delivery to our people who are eagerly yearning for the positive change which our great party All Progressive Congress promised during the campaign period”, Hon. Hammed said. The chairman has sworn-in Engineer Olukayode Onipede as Secretary to the Local Governement, Hon Olujare Animashaun as Supervisor for Works, Hon Nosiru Busari as Supervisor for Health, Mr. H.O. Davies as Supervisor for Agriculture, Mrs F.E Lawal as Supervisor for Environment, Mrs Femi Alamu as Special Adviser on Budget & Planning and Alhaja Basirat Ojugbele as Special Adviser on WAPA. Responding on behalf of all,Engineer Onipede promised to work hard with others in order to contribute positively to the development of the lcda, he further assured that the team would work harmoniously towards serving the residents better. I simply desired to appreciate you again. I do not know what I would’ve undertaken in the absence of those tips contributed by you concerning such a question. Completely was an absolute hard condition in my position, but being able to view the very specialized approach you treated it made me to jump over fulfillment. Now i am happy for this support and even trust you know what a great job that you’re putting in instructing many people thru your blog post. More than likely you haven’t come across all of us. Thanks for all of the work on this web page. My mum takes pleasure in working on investigations and it is easy to see why. My partner and i notice all of the dynamic means you make valuable guidance through your web site and boost contribution from other people on the point while our favorite child is certainly starting to learn a lot. Have fun with the rest of the year. You are always carrying out a very good job. Hello my friend! I wish to say that this article is awesome, nice written and come with almost all important infos. I would like to see more posts like this . I¡¦m no longer certain the place you are getting your information, however great topic. I must spend some time finding out much more or figuring out more. Thanks for excellent info I used to be in search of this info for my mission. Valuable information. Fortunate me I discovered your web site unintentionally, and I am stunned why this coincidence didn’t happened in advance! I bookmarked it.